Patrick Mahomes threw for 249 yards against the Cardinals for a passer rating of 125.4, the eighth time this season he's been over 100.0. KANSAS CITY, Mo. 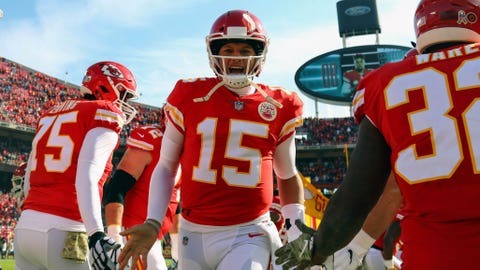 — Patrick Mahomes walked off the field at Arrowhead Stadium on Sunday with another record on his resume and the Kansas City Chiefs another win toward earning the No. 1 seed in the AFC playoffs.